The alternating diary entries of Joanna Coles and Peter Godwin, this book chronicles their lives in Manhattan, where they get used to living above the main transvestite drag in Greenwich Village and, after a false start, learn the shocking news that they are to become parents. He's preoccupied by the lump on his elbow. She's trying to determine the accuracy of the DIY pregnancy-testing kit. In the summer of 1997, Joanna Coles and Peter Godwin set sail from Southampton for New York and a new life in America. As the quay side band played them off in the drizzle, they anticipated a life of glamorous parties, power brunches and weekend trips to the Bahamas. Coles had been posted to New York as the Guardian correspondent - but discovered that most New Yorkers mistake the paper for the in-house pamphlet published by La Guardia Airport. 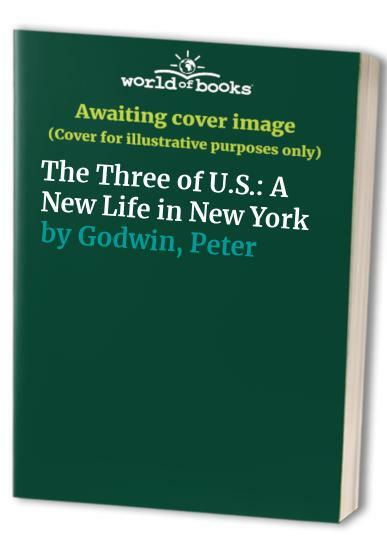 Peter Godwin decided to write a novel: a year later, it's largely unfinished. Veering from the frankly absurd to the simply bizarre, this book is the alternating diary entries of Coles and Godwin. It chronicles their lives in Manhattan, where they get used to living above the main transvestite drag in Greenwich Village and, after a false start, learn the shocking news that they are to become parents.